The Screen Award for Best Actress is one of the Screen Awards of merit presented annually by a distinguished panel of judges from the Indian "Bollywood" film industry, to recognise an actress who has delivered an outstanding performance in a leading role. The Screen Awards is an annual awards ceremony held in India honouring professional excellence in Bollywood. The nomination and award selection is done by a panel of distinguished professionals from the industry. The name of the annual ceremonies are prefixed by the presenting network; the first Star Screen Awards were telecasted on Star Plus in 2000 till 2011, after which the Colors Screen Awards were previewed on Colors and the Life OK Screen Awards on Life OK, each for a period of two years. As of 2016, Star continues to hold the television distribution rights. Hindi cinema, often metonymously referred to as Bollywood and formerly known as Bombay cinema, is the Indian Hindi-language film industry based in Mumbai, Maharashtra. The term is a portmanteau of "Bombay" and "Hollywood". The industry is related to Tamil film industry (Kollywood), Telugu film industry (Tollywood) and other industries, making up Indian Cinema – the world's largest. Vidya Balan is an Indian actress. Known for pioneering a change in the concept of a Hindi film heroine with her portrayals of strong-willed women, she is the recipient of several awards, including a National Film Award, six Filmfare Awards, and six Screen Awards. She was awarded the Padma Shri by the Government of India in 2014. Madhuri Dixit, also known by her married name Madhuri Dixit Nene, is an Indian actress, producer, and television personality. One of the most popular and highest-paid Hindi film actresses in the late 1980s and 1990s, she has been praised by critics for her acting and dancing skills. She is the recipient of numerous accolades, including six Filmfare Awards. In 2008, the Government of India awarded her with the Padma Shri, the fourth highest civilian honour of the country. Kajol, also known by her married name Kajol Devgan, is an Indian film actress, who predominantly works in Hindi cinema. Born in Bombay to the Mukherjee-Samarth family, she is the daughter of actress Tanuja Samarth and filmmaker Shomu Mukherjee. She is the recipient of numerous accolades, including six Filmfare Awards, and alongside her aunt Nutan, she holds the record for most Best Actress wins at the ceremony, with five. In 2011, the Government of India awarded her with the Padma Shri, the fourth highest civilian honour of the country. Kajol is considered as one of the highly successful and highest paid actress of indian cinema having global fan following. Aishwarya Rai, also known by her married name Aishwarya Rai Bachchan, is an Indian actress, model and the winner of the Miss World 1994 pageant. Through her successful acting career, she has established herself as one of the most popular and influential celebrities in India. Rai has received numerous accolades, including two Filmfare Awards from eleven nominations, and she was honoured with the Padma Shri by the Government of India in 2009 and the Ordre des Arts et des Lettres by the Government of France in 2012. She has often been cited in the media as "the most beautiful woman in the world". Rani Mukerji is an Indian film actress. One of the most popular and highest-paid Hindi film actresses in the 2000s, she has received several awards, including seven Filmfare Awards. Her roles have been cited in the media as a significant departure from previous screen portrayals of Indian women. 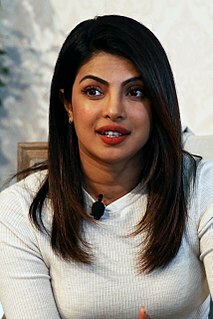 Priyanka Chopra Jonas is an Indian actress, singer, film producer, and the winner of the Miss World 2000 pageant. One of India's highest-paid and most popular celebrities, Chopra has received numerous awards, including a National Film Award and five Filmfare Awards. In 2016, the Government of India honoured her with the Padma Shri, and Time named her one of the 100 most influential people in the world. In 2017 and 2018, Forbes listed her among the World's 100 Most Powerful Women. † - Indicates the performance also "Won" the Filmfare Award for Best Actress. ‡ - Indicates the performance was also "Nominated" for the Filmfare Award for Best Actress. The Filmfare Award for Best Actress is given by Filmfare as part of its annual Filmfare Awards for Hindi films, to recognise a female actor who has delivered an outstanding performance in a leading role. The award was first given in 1954 for the films released in preceding year 1953. 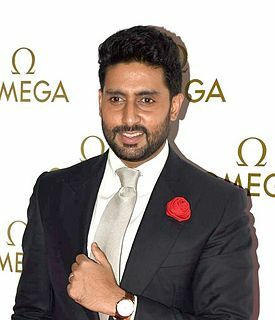 Abhishek Bachchan is an Indian film actor and film producer known for his work in Bollywood. Part of the Bachchan family, he is the son of actors Amitabh Bachchan and Jaya Bachchan. The Filmfare Award for Best Supporting Actress is given by Filmfare as part of its annual Filmfare Awards for Hindi films, to recognise a female actor who has delivered an outstanding performance in a supporting role. Although the Filmfare awards started in 1954, awards for the Best Supporting Actress category started the following year 1955. Sanjay Leela Bhansali is a Bollywood director, producer, screenwriter, and music director. One of the most successful filmmakers in Indian cinema, Bhansali is the recipient of several awards, including four National Film Awards, eleven Filmfare Awards and a BAFTA nomination. In 2015, the Government of India honoured him with the Padma Shri, the fourth highest civilian award. He is the greatest Director of India, particularly while making Period Drama movies which include Devdas, Bajirao Mastani, Padmaavat. The Filmfare Award for Best Female Debut is given by Filmfare as part of its annual Filmfare Awards for Hindi films to recognise a performance by a female actor in a debut role. Koffee with Karan is an Indian talk show on Star World India hosted by film producer and director Karan Johar. First airing on 19 November 2004, it is the longest-running talk show in Indian television. The show concluded its sixth season on 17 March 2019. The IIFA Award for Best Actress is given by the International Indian Film Academy as part of its annual award ceremony for Hindi films, to recognise a female actor who has delivered an outstanding performance in a leading role. The recipient is chosen by viewers and the winner is announced at the ceremony. The current winner of the Best Actress award is Sridevi for film Mom. The IIFA Best Supporting Actress Award is chosen by the viewers and the winner is announced at the ceremony. The Zee Cine Award for Best Actor – Female is chosen by the viewers of Zee Entertainment Enterprises as part of its annual award ceremony for Hindi films, to recognise a female actor who has delivered an outstanding performance in a leading role. Following its inception in 1998, a ceremony wasn't held in 2009 and 2010, but resumed back in 2011. Dharma Productions Pvt. Ltd. is an Indian production and distribution company established by Yash Johar in 1979. It was taken over in 2004 after his death by his son Karan Johar. 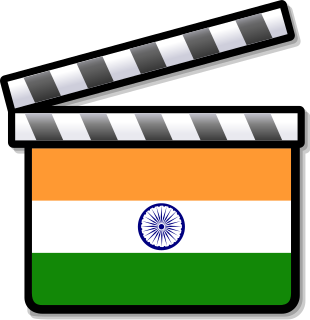 Based in Mumbai, it mainly produces and distributes Hindi films, and is known in the media for its relatively high production-value content. In November 2018, a new sector of the company was introduced, called Dharmatic, focusing on producing digital content for online distribution platforms. The 43rd Filmfare Awards were held on 31 January 1998, in Mumbai, India. Aditya Roy Kapur is an Indian film actor who works in Hindi films. After making his acting debut with the 2009 musical comedy London Dreams, Kapur was praised portraying a aspiring magician in the 2010 romantic drama Guzaarish. After this, Kapur earned commercial success in Bollywood with the 2013 musical romance Aashiqui 2 and the 2013 romantic comedy Yeh Jawaani Hai Deewani, both of which were among the top-grossing productions of 2013. The latter gained him a nomination for the Filmfare Award for Best Supporting Actor. The Producers Guild Film Award for Best Actress in a Leading Role is given by the producers of the film and television guild as part of its annual award ceremony for Hindi films, to recognise a female actor who has delivered an outstanding performance in a leading role. Following its inception in 2004, no one was awarded in 2005 and 2007. The Filmfare Critics Award for Best Actress is given by Filmfare as part of its annual Filmfare Awards for Hindi films. The Stardust Best Drama Actress is chosen by the readers of the annual Stardust magazine. The award honours a star that has made an impact with their acting in that certain film. ↑ "21st Annual Life OK Screen Awards nominations". The Indian Express. 8 January 2015. Retrieved 8 January 2015. ↑ Sharma, Sarika (14 January 2015). "Live: 21st Life OK Screen Awards". The Indian Express. Retrieved 14 January 2015. ↑ "Winners of 22nd Annual Star Screen Awards 2015". Bollywood Hungama . 8 January 2016. Retrieved 8 January 2016.